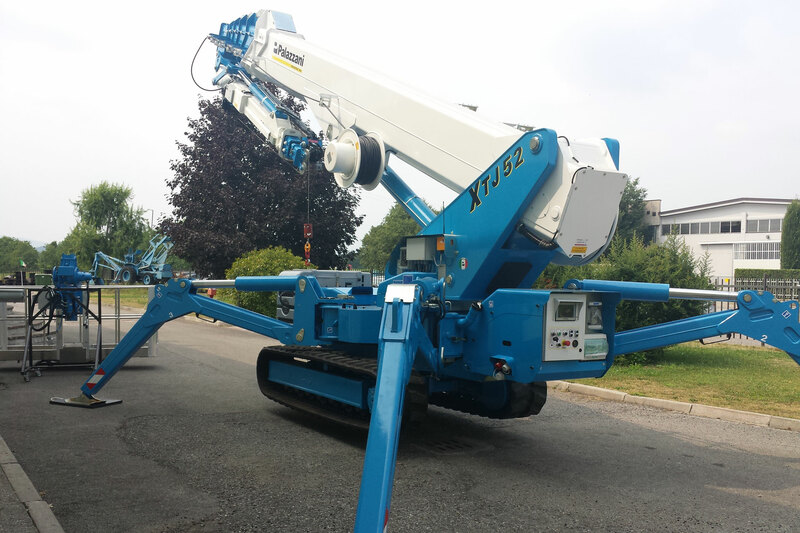 XTJ 52+ GRU | Palazzani Industrie S.p.A.
Spider crane with hydraulic winch of 551-1100 lb maximum lifting capacity. In the crane version, the jib has a special hydraulic installation kit, the hydraulic winch, 150ft 11in long cable and a support to easily replace the basket. 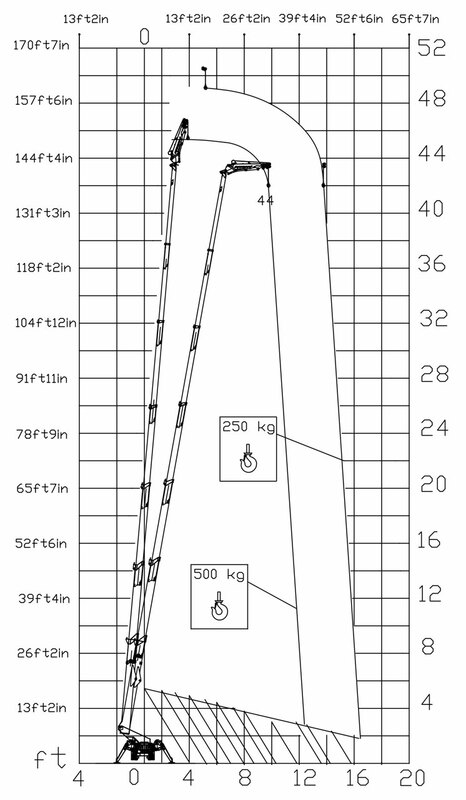 The maximum lift height is 160ft 9in. Double outreach with variable capacity thanks to telescopic jib: 54ft 2in with 551 lb capacity and 41ft with 1100 lb. L’altezza di lavoro massima raggiungibile è di 49 metri. 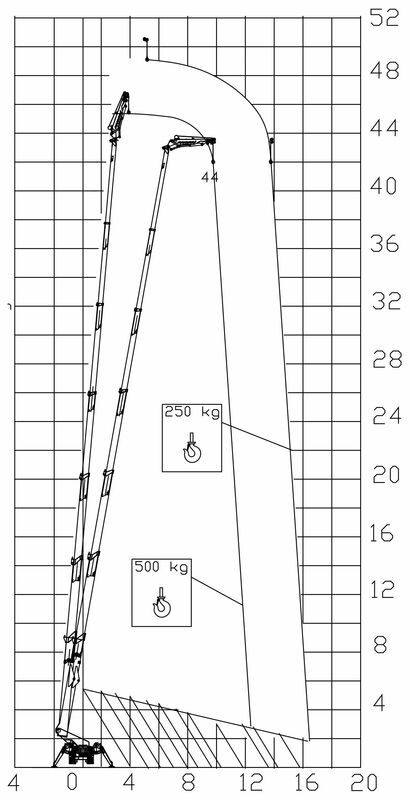 Doppio sbraccio con variabilità di portata, grazie al jib telescopico: 16,5 m con 250 kg di capacità e 12,5 m con 500 kg.